If you have any questions about the YALLA information page below please contact us. 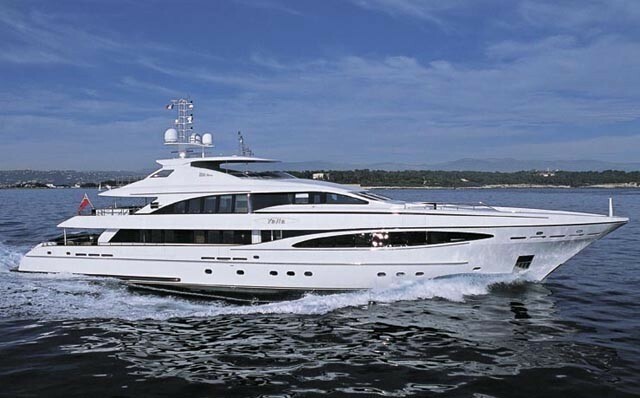 This 47 m (153 foot) luxury yacht was made by Heesen Yachts in 2004. Motor Yacht YALLA is a capacious superyacht. The yacht is a recent full displacement yacht. 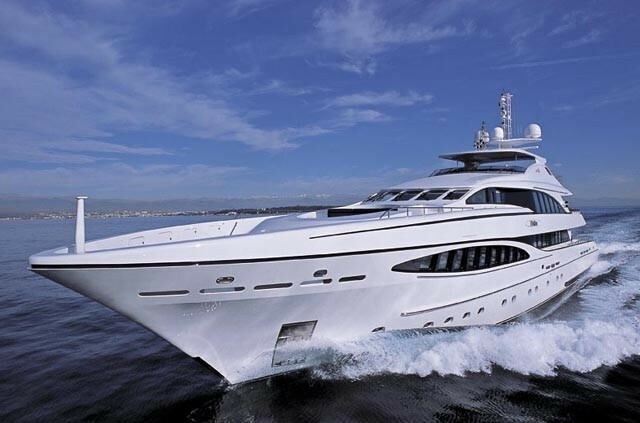 The naval architect that made this yacht's design details with respect to this ship was Heesen Yachts Design Team. Her initial interior design work is the brain child of Art-Line Interiors / Omega. Luxury yacht YALLA is a good looking yacht that can sleep up to 10 people on board and has approximately 7 crew. 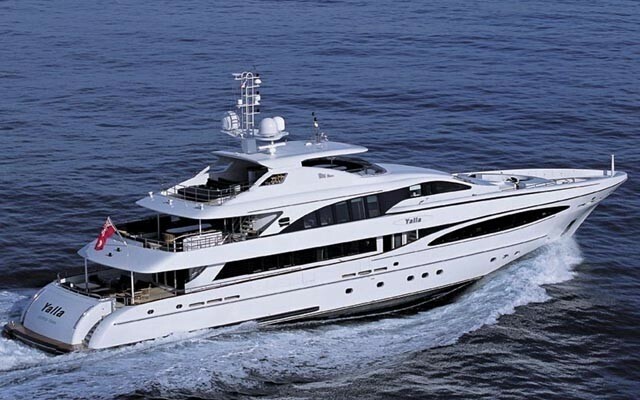 Heesen Yachts Design Team was the naval architecture company involved in the technical vessel plans for YALLA. 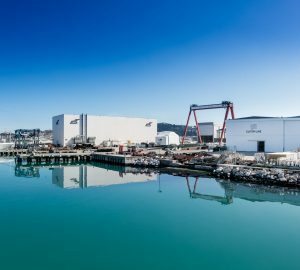 Also the company Heesen Yachts Design Team skillfully worked on this venture. Interior designer Art-Line Interiors / Omega was responsible for the internal internal ambience. 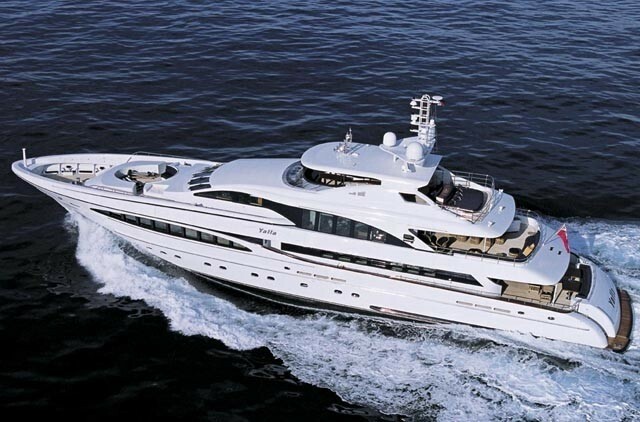 the Netherlands is the country that Heesen Yachts constructed their new build motor yacht in. After the formal launch in 2004 in Oss she was handed over to the yacht owner after sea trials. The core hull was crafted from steel. The motor yacht superstructure component is fabricated for the most part with aluminium. With a width of 8.5 m or 27.88 ft YALLA has spacious room. She has a shallow draught of 2.85m (9.35ft). The 8V 4000 M70 engine installed in the motor yacht is built by MTU. For propulsion YALLA has twin screw propellers (schaffran 5 blades fixed pitch). The engine of the ship generates 1554 horse power (or 1160 kilowatts). She is equiped with 2 engines. The total power for the yacht is thus 3108 HP / 2320 KW. With respect to stabalisers she was built with Koopnautic. The bow thrusters are Hrp. Providing chambers for a limit of 10 welcome guests staying on board, the YALLA accommodates everyone in style. She also carries around 7 proficient yacht crew to maintain and sail. 46.7 metres / 153.2 feet. Total engine power output 3108 HP /2320 KW. Kilo-Pak 2 times , 1 times 33 kilowatts. On Sept 2009 YALLA cruised Cannes, in France. YALLA has navigated the waters around Département des Alpes-Maritimes during October 2009. Bitzer or Hh-Salor-140 is the the company which manufactured the air con used in this ship. Her deck material is predominantly a teak deck. The luxury yacht YALLA displayed on this page is merely informational and she is not necessarily available for yacht charter or for sale, nor is she represented or marketed in anyway by CharterWorld. This web page and the superyacht information contained herein is not contractual. All yacht specifications and informations are displayed in good faith but CharterWorld does not warrant or assume any legal liability or responsibility for the current accuracy, completeness, validity, or usefulness of any superyacht information and/or images displayed. All boat information is subject to change without prior notice and may not be current.